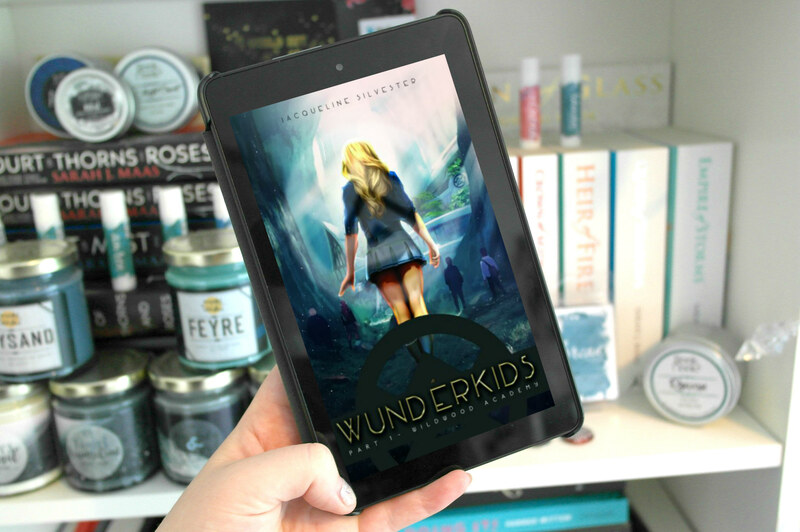 A few weeks back on Twitter I saw that author Jacqueline Silvester was looking to set up a blog tour for her debut novel Wunderkids. After reading a little about the book, I felt immediately drawn to the story and asked if I could participate. Very luckily, Jacqueline agreed and here we are on the second stop of the Wunderkids blog tour! But this isn’t any old blog tour, oh no. Jacqueline had a vision that each of the posts would include a feature or activity. This is part one of my tour, so read on for the first post in my Spooktober Halloween Reads series and my spoiler free review. Keep an eye out for my second post which in keeping with the boarding school setting Jacqueline and I wrote letters to our high school selves. I have to start with that only a few pages in, I was totally hooked. There’s just something about Silvester’s style of writing that I loved; it immediately drew me in. With the story being written in third person helped make the world seem much bigger. The synopsis had me intrigued from the second I read it, but it really does not give anything away and I would highly recommend that you go into the story the same way I did. The plot was gripping and I sincerely had no idea which direction it would take. Silvester surprised me again and again throughout the story; it was fast paced, especially the last few chapters which I raced through. Nikka was my favourite kind of main character. She was relatable (apart from her amazing talent for art of course), feisty, strong and really well meaning, and I enjoyed the dynamic between her and her group of friends. Her relationship with her mother was also a great addition to the story – it was realistic and really heart warming at times. I am always a sucker for love triangles and an even bigger sucker for brooding male characters and I liked the way that the romance in the story was executed. The two love interests were definitely not alike, but there were things about the two of them that I loved. Nikka’s relationship with each was different and there were definitely lots of “awwh” moments. What I really appreciated was the fact that if any of the characters, love interest or not, did anything wrong or horrible, Nikka had no problem telling them about it. She stood up for herself and her friends and I love this in a character. The side characters definitely added depth to the story and were well fleshed out, adding something to the story instead of existing for the sake of the plot, especially Sums who I absolutely loved! The nerdy fat friend? Been there, done that, potentially still doing it! The story is set at a boarding school which is a situation I always love to read about and is an instant win for me! I definitely felt a kind of fantastical element throughout the story, although I wouldn’t class the book within this genre – it’s actually scarily possible and almost too realistic. I read the book in mere hours. It had my undivided attention from beginning to end and I need to know what happens next; it ends on a total cliffhanger! I cannot believe that Wunderkids is Silvester’s first novel. Her writing is impeccable and you can’t help but be totally sucked in to the world. I can’t wait for book two which Silvester is working on now you’ll be pleased to know. You can get your hands on the story here. It’s a definite 4.5/5 stars from me! Make sure to check out the rest of the blog tour below.